In recent time, the word MMM has become popular and accustomed with bad publicity. It is/was expected knowing the ideology of this financial and social community. Amongst the ideologies of MMM, participants are made to know that when you have the consciousness that you have money, the world would be a better place. As a reminder, the MMM community is built on the foundation of diligence and honesty and involves participants willing to donate to each other using spare money (money that you set aside for miscellaneous or won’t hurt/disrupt your daily/weekly/monthly budget). Participants are made to sign up on the website www.nigeria-mmm.net where you will have a personal office and you can create orders to provide help and get help with a MAVRO (digital currency on MMM platform) growth of 30% not forgetting that you stand a chance to earn $20-$100 as a first time subscriber. 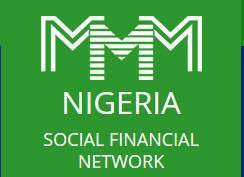 In 2016, MMM was put on pause mode, which is strategy to control the effect of panic in the system caused by the activity of some participants who were not willing to donate but wanted donations as well the attack of the media on the legitimacy of the activity of MMM in the Nigeria web space. Notwithstanding the negative publicity about the predicament in 2016, MMM kept to their words and made a comeback on January, 13, 2017 with a strategy of approving get help requests to certain groups of participants with ‘small’ financial commitment. This strategy seems to have aggravated the mischief makers to fuel the hate against MMM and MMM has solicited for patience from its participants as they upgrade the system to serve us better knowing the challenges of fake proof of payment amongst others. The revolution called MMM has given rise to other schemes that are operated on various electronic platforms such as whatsapp, telegram and on websites but the question we fail to answer is, why do these other fails after a limited period? Why do we cry foul and the media is not going after such schemes? Why do people put their trust in people who pair them to receive and pay other participants and can not hold them responsible when there is a failure? As we ponder on these thought provoking questions, MMM has not crashed and while we sow the seed of patience towards the comeback of our darling community let us remember that those who sow in tears always reap with joy in the future. You can spread the good news of MMM and get shortlisted to be paid by signing up using this link and if you are already a participant, you can apply on your personal office by viewing the recent news update. Thank you and long live MMM, Long live Nigeria. MMM Nigeria is upgrading at the moment. Having taken into account its past experience, the Community is getting more and more stable. We are constantly looking for new development paths. At the moment we would like to hire for remuneration active and responsible participants and guiders who can promote MMM Nigeria online.